Oklahoma does not have an inheritance tax. Let's cut right to the chase: If you inherit from someone who resided in Oklahoma at the time of their death — or if you inherit real estate located in Oklahoma — you will not have to pay an inheritance tax. But what if you inherit from someone who lived in another state? Or what if you inherit real estate located in another state? Odds are, you still won't have to pay an inheritance tax. 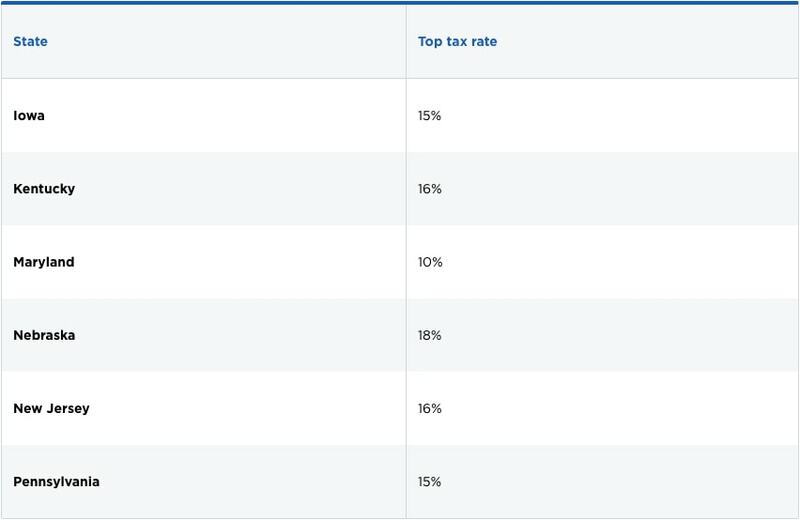 Only six states currently have an inheritance tax (more on this below), and there is not a separate federal inheritance tax. And even if you inherit from someone who lived in a state with an inheritance tax, you still may not have to pay anything due to a number of exemptions. "Wait a minute," you may be angrily shouting at your computer while reading this. "What do you mean there's no inheritance tax?? I thought you wrote something about how I might have to pay estate taxes?!" Inheritance taxes are not the same thing as estate taxes. An estate tax is paid by the estate of a deceased individual after their death. The tax is assessed on the overall value of a decedent's estate. An inheritance tax is paid by the decedent's heirs or beneficiaries after they receive their inheritance. The tax is assessed on the inheritance of each individual beneficiary. If you are inheriting from someone, you should figure out whether you need to pay an inheritance tax. If you are the executor of an estate, you should figure out whether you need to pay an estate tax. Which states have an inheritance tax? Estate taxes are much more prevalent than inheritance taxes. While 14+ states have a separate estate tax, only 6 states have an inheritance tax. Estate taxes are paid by the decedent's estate; inheritance taxes are paid by the decedent's heirs. However, each of these states has certain inheritance taxes exemptions. For instance, no state requires a surviving spouse to pay an inheritance tax. And in every state except Nebraska and Pennsylvania, direct descendants of a decedent are also not required to pay. These exemptions are state-specific and can get confusing, especially when they interact with state or federal estate tax laws. And without careful planning and knowledge of your state tax laws, your estate or your heirs could end up paying the price. How can I minimize inheritance and estate taxes? Tax planning is an important part of estate planning. A good estate plan should minimize inheritance taxes and/or estate taxes for you and your heirs. If it doesn't do that, then you are not getting the most bang for your buck. To discuss how you can use estate planning to minimize taxes for you and your heirs — or if you have questions about inheritance or probate matters — contact the Oklahoma City estate planning attorneys at Postic & Bates for a free consultation appointment.